Every 4 months, we make a visit to the Homes that GAiN sponsors to ensure that the children are having all of their needs met. Sarah just returned from a visit to South East Asia last week. GAiN has 54 children in 5 Homes being cared for by either 2 women or a husband-wife team. It was such an encouraging time of hugging, playing, and praying with the children we sponsor. Sarah was able to do basic health assessments on all the children and, praise God, there were no major issues. One little girl is undergoing testing for hyperthyroidism but she is receiving good medical treatment in the city. We have mentioned in past reports that we are working on a discipleship guide to ensure that each of our Homes has the same standard of Biblical teaching so that the children continue to grow in their faith. We were able to introduce this guide while we were there and it was well received by the caregivers and pastors. This was a huge answer to prayer. 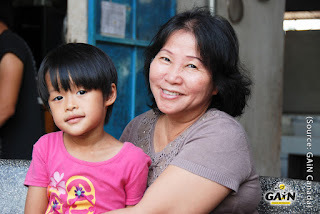 -Please pray for our girls’ home in South East Asia as we seek a new house mother. We need a woman or married couple who has a heart for God and who loves teenagers. -Please pray for a Godly man to fill the role of construction manager for our orphanage in Tanzania as they expand. -Please pray as Sarah travels to Chihuahua, Mexico on February 6 to assess an orphanage for potential partnership. 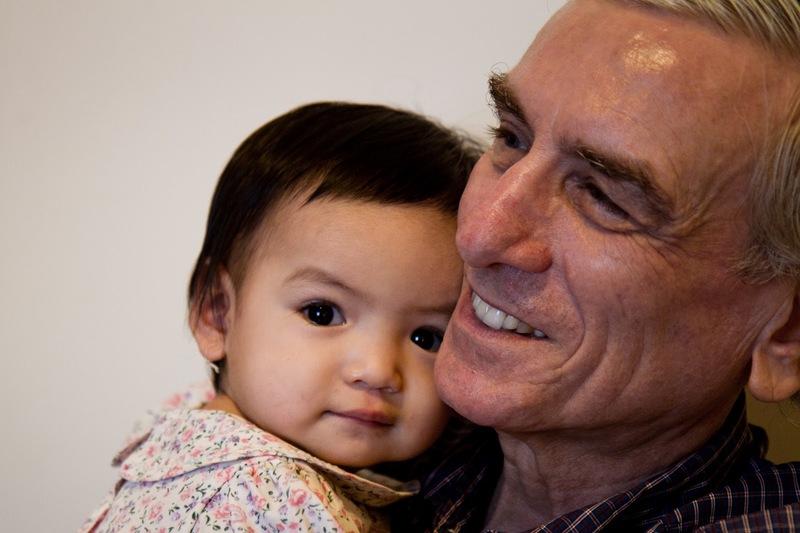 We want to share a story of the couple who we partner with in South East Asia; Bian and Charles. Their names are changed since we work in closed countries. GAiN finds people who are serving God faithfully by caring for orphans and widows and comes alongside to equip, encourage, and empower them. This couple is a perfect example. Upon retirement, they decided to sell their home in North America, cash in their savings, and spend all their resources and time loving the needy in South East Asia. They currently care for 80 children and 20 elderly or disabled people in shelters. Bian spends her free time standing outside abortion clinics to council pregnant women against abortion. In their country, 50% of pregnancies end in abortion as unmarried, pregnant women find themselves ostracized by their community. Bian finds a family willing to support and care for a pregnant woman until the baby is born. If the woman chooses not to keep her baby, Bian will find a home or bring the baby home with her. Charles and Bian usually have an average of 7 babies in their home at any given time. Charles spends his prime retirement years running after toddlers and changing diapers all day. He loves it! On her most recent trip, Sarah had the privilege of sitting with Charles as he scrolled through the hundreds of photos on their computer in a folder labeled “moms and babes”. These women and babies have all been touched by God through Bian. By showing them love and sharing the love of their Father, Bian has has had the privilege of seeing many of them develop a relationship with Christ. Hannah, in the photo below, is a little girl who Bian and Charles have raised since the day she was born. They are preparing to send her to her birth mother who is now financially stable and can care for her. She will be moving about 7 hours away and Bian and Charles especially, are heartbroken. They know this is best for Hannah but they love her as a daughter. She lights up their life. As anyone who has been a foster parent knows, it is hard to have a child for a short time and then say goodbye. Please pray for them as they prepare their hearts to let precious Hannah go to make room for the next little one who will enter their home. We are so thankful to be able to work alongside Charles and Bian as we fulfill God’s command to care for the orphan and the widow. GAiN’s partnership with them has freed them of financial worries and given them peace that their ministry will continue even after they go to be with the Lord. This is only possible through your prayers and support. Bian with one of our sponsored children, Yen. To find out how you can help in this important and critical ministry, contact GAiN through their website. Or contact me, Christine Lindsay, and I'll be happy to put you in touch with Sarah.